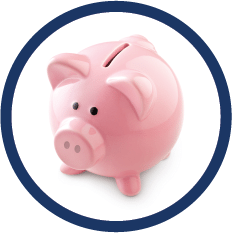 Start saving now with an awesome rate on our 1 year Certificate of Deposit 2.65% APY! CDs are the safest bet for your money. Now that’s smart saving. Learn more. Auburn Savings Mobile Banking app now allows you to deposit checks on your own time with a snapshot taken with your mobile device. Access your accounts from the palm of your hand. Download the app directly from Google Play or the App Store.